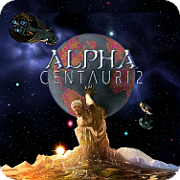 Test your Alpha Centauri knowledge! Ah Kirk you old scallywag! My Mom hates him. I'm like, what's the big deal? You have to understand. He's an icon for a certain demographic segment of the population. Well I refuse to see him as "just a woman humper". Even if he did do a lot of that. I was surprised to find out that my Mom is not a Trekkie. We always watched the re-runs together when I was growing up, why wasn't she one?? Well I guess it was just what was on before dinner or something. Maybe there's hope for her, she seems to like The Next Generation well enough. It's The Original Series which she doesn't seem too happy with. That show, did so much to be progressive back in its day. Seems unfair; maybe I should try to explain it to her sometime. Maybe the reality will remain that in her opinion, they didn't go far enough, something that really couldn't be done until TNG or Voyager. I envy you having a living mother. Mine was very intelligent but never a scifi fan. She would have had opinions should she have watched any And probably, yes, they didn't go far enough. Frankly, Kirk wasn't and isn't a character I admire or would want to emulate, most of the time. I do agree that the original series was groundbreaking and (pause while I pet a very sweet ferret and erase his typing....) [K, furlet hung around my neck out of troublemaking range] significantly advanced gender and racial equality in the US. (and other countries? Suspect so, but need to check that). I've watched pretty much all of the Star Trek series and movies, but for some reason, prefer the Star Wars stuff more. Dunno why. More fight scenes ? No. Less lame weapons than those dumb "phasers"? Yeh. It's probably something with the details. Both have interesting and more-or-less plausible overarching plots, and their characters and actors are adequate to good (in my personal, biased opinion). I've gotten myself in trouble with Star Wars debates, so in this particular thread I'll beg off! Returning you to your regularly scheduled "I am not a bot" program. Saw busters welcome msg saying to post here so people know I'm a real person so here I am haha. I've been a regular poster of at CivFanatics for years, also recently re-joined what's left of the Apolyton forums too (guess my old account on their old forum 15yrs ago wasn't transferred lol). I've recently been replaying all the old Civ and related games from my youth in HD to do a big tribute on my retro gamin website along with some fun videos too. Replaying SMAC is part of the plan as I loved it so much all those years ago. In preparation for my up and coming game I went hunting for fan patches and resolution fixes and found a big sticky GoG post about it all that had links to here. I had no idea there was a dedicated SMAC forum out there as I'm used to SMAC being relegated to a sub on all the civ forums so I was thrilled and naturally couldn't resist joining up. Got a few questions for the pros so I'll post a thread about at some point in the near future. Hi all, was directed here by a forum thread on GOG.com, looking forward to implement some bug fixes and lose my holiday time to SMAX! ...as to the ST-SW debate, personally like both, but lean a little more to the SW side just because the show takes tech to casually; they don't feel compelled to explain it (until Ep.1) and then IMMEDIATELY have a crisis that requires them to use their neat new shiny toy to solve said crisis. That they're in space is more of a given instead of an objective, if that makes sense. 5th Element did a great job playing with that concept, not bothering to explain it, it was just there and part of life. ST got better about it later on, focusing on story more than just being new and different, so hurrah for being progressive, even decades later. ...but withall all t3h tyops and mipselled wrods. Now pair up in threes and line up in a circle! I've recently come back to SMAX (got the original CD version of the games) after some time. Never thought there would be mods for the game. Stumbled across this site when I was searching for how to get the game to run on a Win7 laptop. I too am a human of the flesh and bone variety. Just kidding, I'm a filthy furtrash Cybernetic consciousness turtle player. I grew up on Alpha Centauri and didnt find out until a decade later there was an "expansion". Love this game and didnt know there were still communities out there for it! Vredstein here. I think I found out about this site through the GOG forum. I've had this game for quite some time now, several years in fact. I never got around to playing until I was forced to sell my over-powered PC and was left with a backup rig that only had integrated graphics. So I'm now going through my gaming library and sifting through the games that don't require much horsepower. We have reached an informational threshold which can only be crossed by harnessing the speed of light directly. The quickest computations require the fasted possible particles moving along the shortest paths. Since the capability now exists to take our information directly from photons traveling molecular paths, the final act of the information revolution will soon be upon us. Page created in 0.115 seconds with 58 queries.